If you've seen other Specialised Covers towing protectors on the road or at campsites, and wondered why your Tow Pro looks slightly different; firstly, well spotted! Second of all. Don't panic. They're meant to be that way... and for very good reason. 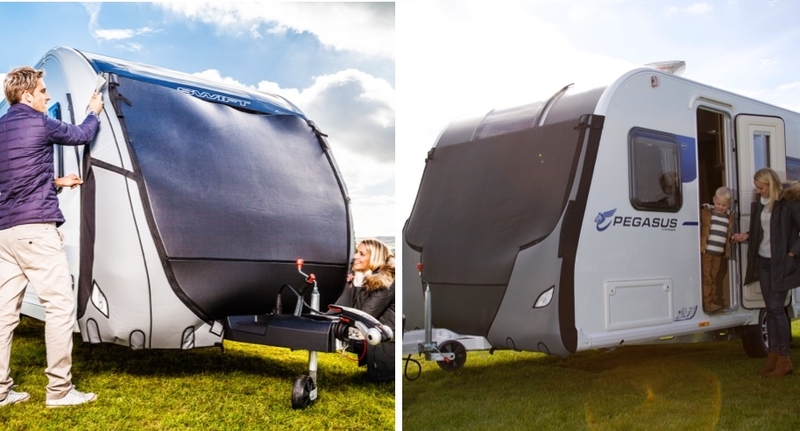 As all of our tailored towing protectors are made to measure, the access points on the Tow Pro + and Tow Pro Elite are completely dependent on the make and model of caravan. For example, some locker boxes are the full width of the caravan - whereas other vans, don't have a locker box on the front at all! All these things are taken into account during the design process... so your cover will mirror your van underneath! Our tailored Tow Pro + and Tow Pro Elite towing protectors have access to the grab handles, locker box and window, as standard. These points can all be accessed via zips, and without taking your cover off, making journeys and stops more convenient. The covers don't always look identical though, as these points on every caravan are not universal. So, just as a tailor making a suit would not make all waistbands the same size, we don't make all Tow Pros the same! For instance, many new Bailey vans have their locker boxes on the side of the caravan but if you own a new Coachman VIP, it will have 2 lockers boxes - both on the front. All of this is considered when we pattern the vans and design the Tow Pro + and Tow Pro Elites. So, you may have 1 large access point, 2 smaller ones, or none at all! The differences are also visible on the grab handle access. Manufacturers do put the grab handles in different places, and they may even have different orientations; so you could have vertical or horizontal handles. 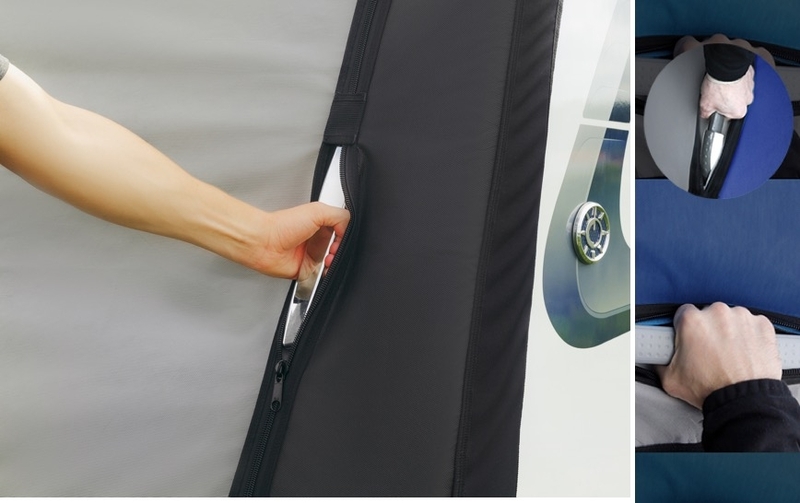 This is reflected in your Tow Pro; you may notice there are extra zips on the outer edges of your cover but they also might be built in to the window drop down. Again, your van dictates how your towing protector looks. The window access can also be different on different vans. Yes, all vans (well the majority!) have windows at the front of the van but the size, shape and placement can vary. All these things will create subtle changes to your Tow Pro + or Elite. From the image below, you can see how both the locker box positioning and grab handles have made these two Tow Pro Elites appear different! The colour options for these towing protectors can also add to the uniqueness of the covers. All have slim black elasticated sides feeding into the awnings (they're what give the covers the tension), but the side and centre panels can be customised! The Tow Pro + is available with black or grey side panels, and then a black, grey, blue or green centre. The Tow Pro Elite can have black or grey sides and the same colour choices for the centre panel. The only other thing that will also alter on your cover is the Perspex Eyes for your lights. These will be located over your own lights, allowing them to shine through and keeping your road legal. Most are at the bottom of a caravan but again, we'll ensure they are perfectly placed! If you have any questions about our Tow Pros or are unsure of how your exact cover may look, don't hesitate to contact us. We'll be able to advise you on this and share images with you, wherever possible.